Newest member of the Super Hercules is civil-certified firefighting airtanker launched today at Farnborough International Airshow (FIAS) - the LM-100J “FireHerc,” a civil-certified firefighting airtanker variant of the proven C-130J Super Hercules that is the airlifter of choice for 18 nations around the world. The LM-100J is the commercial freighter production model of the C-130J Super Hercules and an updated version of the legacy L-100 commercial Hercules freighter. The LM-100J is flying at and on static display at this year’s FIAS. C-130s — legacy Hercules, Super Hercules and L-100s — have flown millions of hours in support of missions for military and civilian operators around the world for 60+ years, which includes supporting firefighting missions for more than 40 years. The LM-100J FireHerc builds on this proven experience and offers advanced capabilities to support aerial firefighting requirements for decades to come. 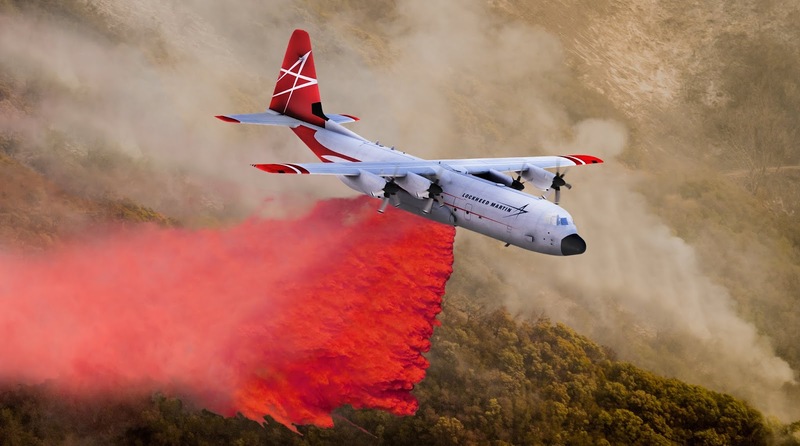 The Hercules plays a vital role in firefighting by dispersing retardant to contain and control fires in locations with complex terrain and compromised operating conditions. The FireHerc’s straight-wing design and turboprop power plant allows it to excel in supporting this challenging low-level, low-speed firefighting mission profile like no other large airtanker in operation. More information about the LM-100J FireHercis available here. FARNBOROUGH, united kingdom, July 16,2018 –Sikorsky, a Lockheed Martin company (NYSE: LMT), today announced the sale of an S-76D™ aircraft to the Government of Maharashtra in India. The announcement cameduring the Farnborough International Airshow. This contract marks the first sale of an S-76D helicopter in India. Delivery is scheduled in 2019. 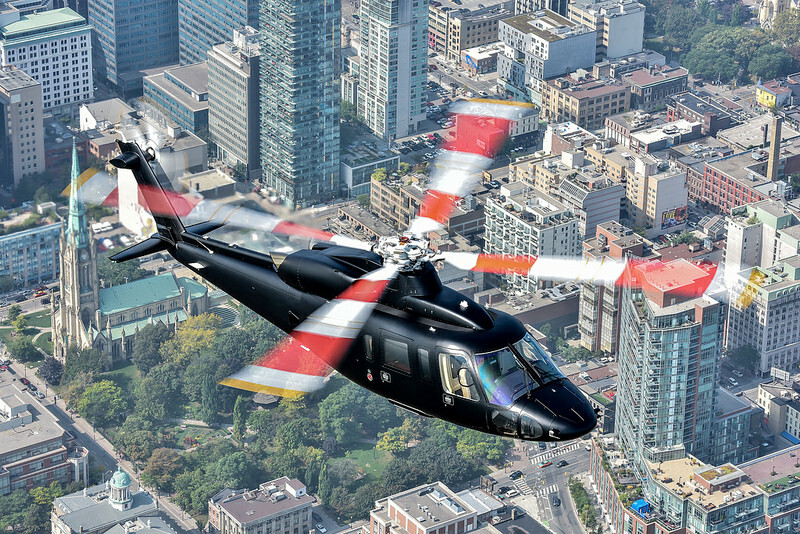 S-76D helicopter VIP options include a customized interior with seating for five to eight passengers. Uniquely, the S-76D helicopter can hold its rotor system still while running an engine to power the on-board air-conditioning system for safe, comfortable loading and unloading into the pre-cooled cabin during the summer season and hot climates. Sikorsky has delivered more than 875S-76® helicopters to customers globally since 1977, amassing more than 7.25million fleet flight hours. Pattonair, the leading global supply chain provider to the aerospace industry, has seen a very positive start to 2018 and it returns to Farnborough Airshow this week - Hall 1 1140 (16th to 22nd July) with a much larger exhibition space than 2016, featuring some new tech products designed to help its customers be more efficient and cost effective. The Derby, UK, headquartered business, which supports OEMs and tier two and three suppliers, will present a variety of innovative and smart new services enabled by the latest technology. Pattonair’s expansion has focused recently on opening new entities and facilities across the globe, in line with customers’ specific requirements. It has expanded its presence in Poland, Japan, India and in a number of new locations in the United States. 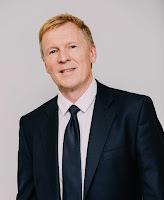 “This geographic expansion reflects Pattonair’s ambition to fulfil the role as supplier of choice to its target market across the globe,” says Pattonair CEO Wayne Hollinshead. Pattonair is looking to add more geographic territories in the coming 12 months, as well as planning new developments with its customers,” he notes. “This is a very exciting time in the supply chain for aerospace. Our level of enquiries, pipeline of new business and our successful renewal rate is stronger than ever,” Wayne added. He will be in Farnborough with his leadership team including Dave Fawcett, Chief Commercial Officer, Group Business Development Director, Glenn Puddifoot, Commercial Director and Jim Smith, MRO Services Director. A big focus Pattonair is sharing at the show is its drive toward the paperless supply chain. Here it has collaborated with Deloitte UK which is bringing its expertise in block chain technology to the business. Together, both organisations will share and demonstrate their latest joint thinking. Every product and solution in the Pattonair portfolio will be loaded on the new Patton App, shared on ipads on their stand - a solution Pattonair has been working closely on with one of its leading customers, Rolls-Royce. Pattonair will be showcasing its Zero Lead-Time Agile Vend, an intelligence-based tech version of its Agile Warehouse, featuring built in technology. Customers access it by secure access control to request their parts which are stored in multi configurable drawers, each opens only when requested. Agile Vend directly links to Pattonair HQ so the forecasting, demand management, replenishment and shipping process is digitalised recording every transaction electronically. 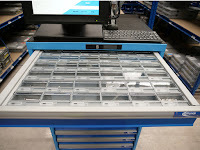 The system started trialling with a major MRO supplier earlier this year and feedback has been very positive. It is robust, efficient and stops waste. Designed with a Zero Lead-Time methodology, the aim is to allow point of use material management with real time system allocation and full regulatory batch traceability. The aerospace industry needs robust services and solutions that are scalable and sustainable and have a Zero Defect approach to right fist time and utilising digitalisation architecture. This is what Agile Vend delivers. 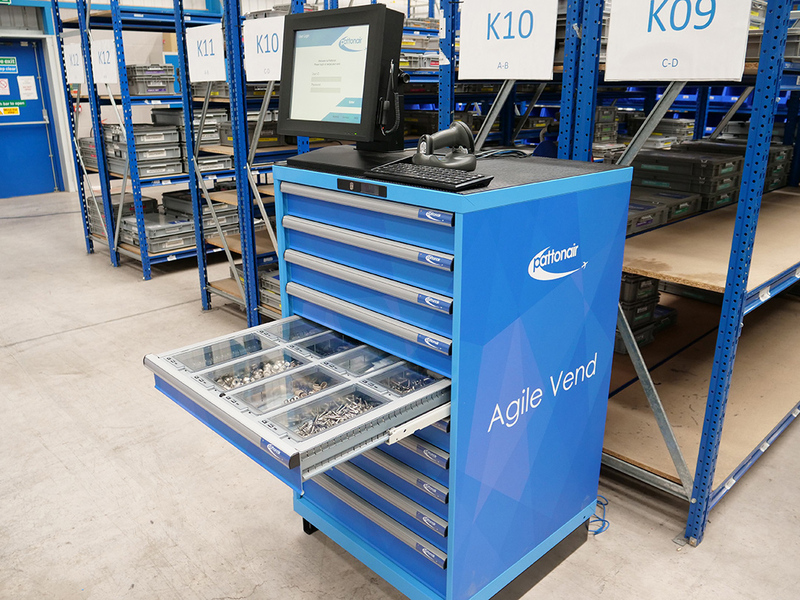 With Agile Vend there is no more waiting several hours or shifts for parts and having fitters and inspectors waste time with reservations and order management. – Agile Vend brings real-time allocation at the point of use in sub 60 seconds. 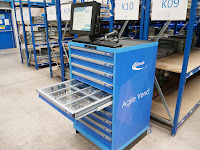 Agile Vend complements Agile Warehouse under Pattonair’s Zero Lead-Time MRO services through smart kitting. Pattonair’s enhanced MRO Services, designed from the ground up, deliver customer value through optimised, scalable and sustainable services. They cover all MRO aspects of aerospace, marine and Industrial market sectors. Agile Vend and the MRO products are a direct result of demand from OEMs and MROs, operators and lessors to retain product on-wing for longer periods to reduce the total cost of overhaul; Big data and engine health monitoring are optimising on-wing longevity and shop visit planning profiles,” says Jim Smith, MRO Services Director, who will demo it at the show. Farnborough Airshow, UK: World leading rotorcraft turbine manufacturer, Safran Helicopter Engines (SHE), has awarded a global OEM and MRO parts support contract to Pattonair until 2025, the leading aerospace and defence supply chain service provider. The contract was signed today, Tuesday 17th July at the Farnborough Airshow by Franck Saudo, President – Safran helicopter engines, and Wayne Hollinshead, CEO of Pattonair. Incumbent supplier, Pattonair, won the competitively bid contract to support 16 Safran sites globally and deliver over 6,000 C class parts to 180 locations worldwide through to 2025. The contract also encompasses a combination of product cost improvement projects to be driven forward by Pattonair and jointly with SHE. Pattonair is a SHE Gold Supplier, which recognises those suppliers who can guarantee the best performance and provide a real return on long-term investment. Pattonair has consistently delivered a high-level service to exacting quality standards and consistently improved its service offering since first supporting SHE in 2007, supplying 1,200 parts. In 2010, Pattonair achieved EASA Form 1 delegation, demonstrating SHE’s confidence in Pattonair. In 2015, SHE renewed Pattonair’s contract during which it innovated with the introduction of value added services such as kitting solutions to increase efficiency on SHE production lines. Pattonair supports Safran Group Companies including Safran Aircraft Engines, Safran Transmissions, Safran Landing Systems and others. Pattonair serves a 2,000 plus blue chip customer base spanning engine, airframe and systems customers, including Rolls-Royce, GE, Pratt & Whitney, Airbus, MROs and the Aftermarket, from its global network of dedicated facilities. 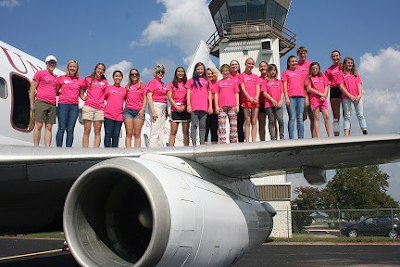 Women in Aviation International UK Chapter marks Futures Day at Farnborough International Airshow with its ‘See her, be her’ event, aimed at encouraging young girls to follow a career in aviation. London, UK – Women in Aviation International (WAI) UK Chapter, is delighted to announce its ‘See her, Be her’ networking morning on Friday 20th July, at this year’s Farnborough International Airshow, UK. School girls and girl guide groups with interests in aviation are being welcomed at the event – running from 10 am to 12 pm, as part of ADS Group’s Futures Day. With this mantra in mind, the newly formed WAI UK Chapter, supported by ADS, Farnborough International and a host of other international women’s aviation associations, is looking to inspire girls in their formative years to consider a career in aviation. The ‘See her, be her’, event will be held in Hall 1 in the Lloyd and Navigate Rooms. Young attendees, aged between 11 and 14, are encouraged to take part in some interactive sessions and hear from an influential line up of speakers in a variety of aviation sectors, led by Dr. Shini Somara, a leading science, tech and innovation broadcast personality. Get to know speakers include Tess Naran, First Officer with Titan Airways and aspiring astronaut. (Tess starred in the recent thrilling BBC2 series Astronauts – do you have what it takes?) Katherine Bennett, Senior Vice President, Airbus UK, Debbie Elliott, Training Manager, TAG Global Training and Aoife O’Sullivan, Partner at The Air Law Firm. They will be able to ask questions, practice their interview skills, and learn about the far- reaching industry with visits to table-top booths from associations and companies including Air BP, NATS and the UK Civil Aviation Authority. The theme complements the Ballot to Wingbox event on the Thursday at the show led by Airbus, Cobham, the Royal Aeronautical Society with Women in Aerospace, the IAWA, Women in Defence and Women in Aviation International. Coinciding with the centenary year for the RAF and women’s suffrage, this event will be held on Thursday morning 10 am to 11.45 am at the New Exhibition Centre. Farnborough Airshow will also be the launch platform for a new Women’s Charter to support women’s progression in the sector. Airbus has appointed Ashish Saraf as Head of the helicopter division of Airbus India to lead its initiatives across the civil, defence and parapublic rotorcraft markets. Saraf, whose appointment is effective July 1, 2018, is based in New Delhi; he takes over from Xavier Hay who leaves India after six years to take over new responsibilities. Saraf joins Airbus Helicopters at a time when the company is competing on several military helicopter projects that would reinforce and enhance the local aerospace and defence industrial ecosystem. Airbus Helicopters is a market leader in the Indian civil and parapublic market with close to 100 helicopters in operation today, and it is helping to develop new market segments such as Helicopter Emergency Medical Services (HEMS) and heli-tourism in the country. Since 2015, Saraf had been serving as Vice President – Industry Development, Strategic Partnerships and Offsets at Airbus India, focusing on ‘Make in India’ initiatives aimed at enhancing the company’s industrial footprint. Before joining Airbus, Saraf was the India Head of the Tata Sikorsky joint venture and led Sikorsky’s industrialisation and strategic partnerships. His experience spans offsets, industrial relations, greenfield start-up development and strategic partnerships; he started his career with Dassault Systems and Deloitte Consulting; he is an alumnus of the Symbiosis Institute of Business Management (SIBM), Pune and the National Institute of Technology (NIT), Nagpur.